National Science Week is Australiaâ€™s annual celebration of science and technology and featured more than 1000 events around Australia, including those delivered by universities, schools, research institutions, libraries, museums and science centres. On Saturday 13th and Sunday 14th August, the Recycle Right team debuted â€˜Recycle Rightâ€™s Wonder filled World of Waste: Clever Compostersâ€™ stall at the Perth Science Festival, an event that saw attendance exceeding 25,000 people. I-Scope Stands allow visitors to transform their phone or tabletâ€™s camera into a microscope, letting them explore the differences between different soil types. Many visitors took the opportunity to ask the hard hitting questions about what happens to their waste. If you missed us, donâ€™t worry! You can catch the team at the Piney Lakes Environmental Education Centre on Wednesday 7th September from 6.00pm to 8.00pm. 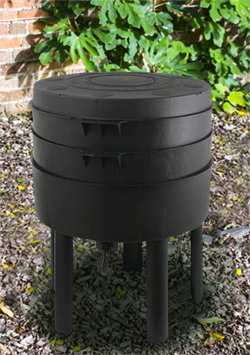 Find out what happens to your waste, fill a homemade seedling pot with nutritious compost, use the I-Scope stands to get close to your soil and test your sifting abilities as you sort the compost from the inorganic contaminants. Click here to book. Warmer weather is just around the corner and now is the time to start doing a bit of decluttering and spring cleaning. Instead of throwing away the things you no longer want, donate your used clothes, furniture and other knickknacks to the Good Sammys. 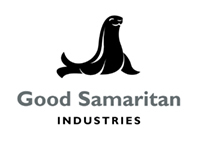 You can help Good Sammy by only donating quality goods, clothing and furniture that are not broken or damaged. Unfortunately, Good Sammys do not have the resources to make repairs and tipping costs detract from their ability to support employment and training initiatives for people with disabilities. Remember, please donâ€™t dump your donation at the bin. If you have furniture, large items, fragile or valuable goods to donate, call the FREE home collection service on 1300 GOODSAMMY or 1300 466 372 to arrange easy pick-up from your home or business. On Wednesday the 17th of August, the Western Australian state government announced the introduction of a container deposit scheme for drink bottles and cans to help improve recycling and reduce littering in WA. Western Australia will be joining South Australia and the Northern Territory, who already operate container deposit schemes. Under the scheme, consumers will be able to get a 10 cent refund on containers such as beer cans and bottles, soft drinks, bottled water, small flavoured milk drinks, sports drinks and spirit-based mixed drinks. The scheme excludes wine and spirit bottles, milk containers and juice containers as the intention is to focus mainly on litter found in parks, at the beach and on the roadside. 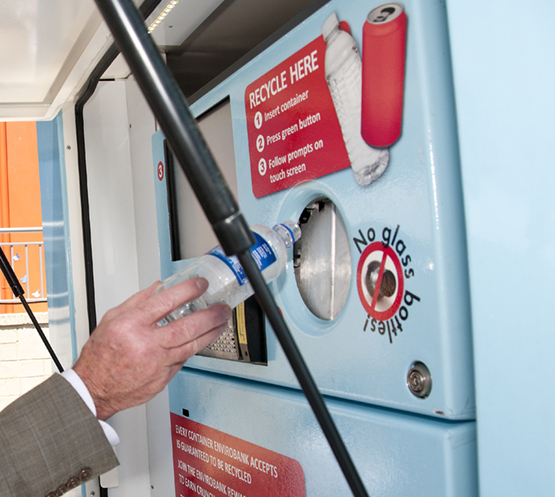 The 10 cent refund will be available from reverse vending machines and collection depots at parks, beaches and other public spaces across Western Australia. The cost of the scheme will be added to the retail price of packaged beverages. City of Melville truck catches fire! On Friday the 19th of August, a City of Melville collection truck caught on fire during a collection run in Bullcreek. Whilst the cause of the fire was unable to be determined, it highlights the importance of ensuring that you are correctly disposing of your waste, particularly Hazardous Household Waste. In the past, items such as butane and batteries have resulted in a number of incidents where waste collection trucks have caught on fire, putting the lives of staff members and the public at risk and resulting in substantial damage costs. 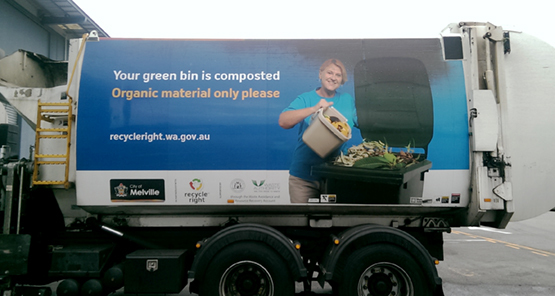 If you have any doubt about how to dispose of a particular item, visit recycleright.wa.gov.au, download the recycle right app or contact the SMRC directly on 9239 2700. 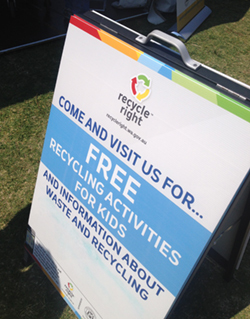 Running from the 24th of September to the 1st of October, Recycle Right will again be participating in the Perth Royal Show. The Recycle Right team will be there to talk about all things waste and recycling and will once again, be teaming up with Trevor Cochrane and the Water Corporation. We will be located at the Waterwise Garden by Trevor Cochrane on the corner of Morrison Avenue and Hardy Avenue. The garden area will contain a waterwise garden constructed using compost produced at the RRRC in Canning Vale, displays, information and competitions, a stage featuring guest speakers and performers throughout the day, the Water Corporationâ€™s Water CafÃ© and lots, lots more. 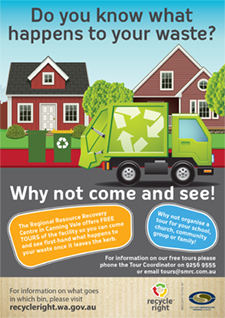 The SMRC will also be teaming up with the other Perth Regional Councils, and hosting a stall separate from Trevorâ€™s garden exploring the â€˜not always fantastic world of plasticâ€™, on the corner of Richardson and Loton Ave. Stop by to learn about some of the problem pieces of plastic, experience a waste audit first hand, make a bottle top fridge magnet and learn about the many ways you can become a Recycle Right Champion. For more information on the Perth Royal Show, visit www.perthroyalshow.com.au/. We all know how important it is to brush your teeth, and changing your toothbrush on a regular basis is good way to ensure that youâ€™re getting the job done properly. General nooks and crannies â€“ Toothbrushes can be used to get in to any kind of nook and cranny and acts as a great miniature scrubbing brush. You can also now buy toothbrushes made from natural, compostable materials, such as bamboo, reducing the amount of plastic and materials that are hard to break down. If you feel youâ€™ve exhausted all options and you do need to dispose of an old toothbrush, it should be placed into your green topped bin. Over the last month at our events, we ran a competition giving people the chance to win a worm farm. Attendees were asked to drop their business card into a fish bowl to sign up for the Recycle Right e-news, which automatically put them into the draw to win a worm farm. The draw was completely random and the lucky winner is â€“ Graham McCafferty! 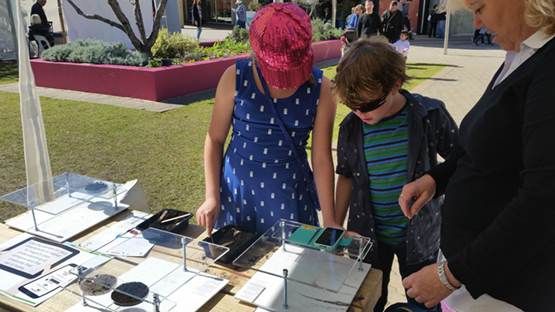 Visitors to the Recycle Right stall at the Perth Science Festival had the chance to win a worm farm by telling us how they can Reduce, Reuse and Recycle at home. We had lots of fantastic entries, with many handy tips and ideas we hadnâ€™t heard before. After much consideration we have chosen a winner â€“ Phoebe! We would like to congratulate all the lucky winners and thank all other entrants for participating. On average, many of us spend over 9000 days in our lifetime asleep, so it is not surprising that every so often you might need to update your mattress. If the old mattress is still of a reasonable quality there are many things you can do with it, including using it as a spare, passing it on to a friend or donating it to charity, but if its time is up, itâ€™s not always easy to recycle your old mattress. 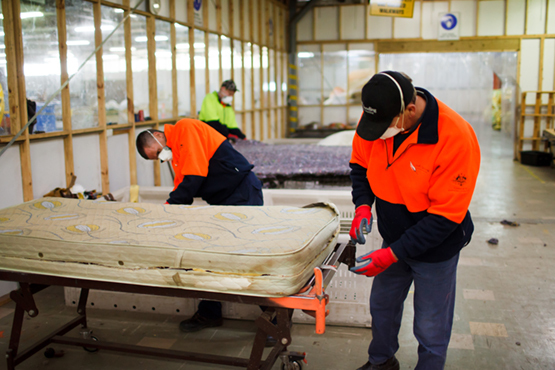 Having recently established itself in Western Australia, Soft Landing is an award-winning, non-profit social enterprise that provides mattress recycling services to local government, commercial and residential customers. In the 6 months since beginning operation, they have recycled over 12,000 mattresses: diverting 30 tonnes of foam, 120 tonnes of steel and 72 tonnes of timber from landfill and back into the economy. Soft Landing utilises mattress recycling as a model to achieve three goals: social impact through employment and training opportunities for individuals experiencing disadvantage, environmental impact through recovery of resources diverted from landfill and financial sustainability, with all profits reinvested into the enterprise to provide further opportunities to people experiencing barriers to the open labour market. This month Gun Dolva brought her Environmental Monitoring and Technology Students to visit the Regional Resource Recovery Centre. Gun has regularly brought her students to visit as viewing the facilities are connected to the course work that students are learning in class. Plus, Gun was able to sort out some personal misconceptions and questions about recycling and managing waste, which will allow her to continue to reduce her ecological footprint and share accurate information with others. If youâ€™d like to organise a tour for your class or community group, contact Emma on tours@smrc.com.au or 9256 9528.